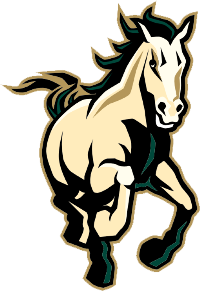 November 22, 2008 – Coming into the 2008 Cal Poly Lacrosse Alumni Game with a two-year winning streak and a roster filled with All-Americans, the Alumni team was confident they would roll right over the young Mustang squad. But the current team had the final say on the matter, pulling off a 10-9 upset on Andrew Haviland’s goal in the game’s waning moments to get the current squad back on the winning track. The two teams squared off on an unseasonably warm November afternoon, as the weather continued to cooperate for the annual Alumni Game grudge match. The current team won the early face-off battles, a trend that would continue for much of the afternoon, and allowed them to control the ball and keep the powerful alumni offense in check. Freshman attackman Olivier Schmied connected on the first two goals of the game to stake the Mustangs to a 2-0 first quarter lead. The Alumni battled back to tie the game at 4 – 4 heading into the halftime break, stealing the momentum on Andy Parr’s outside laser shot just as the second quarter expired. The Alumni gained the lead early in the second half and appeared to take control of the game, but they could not manage to pull away from the hard working Mustangs. When the Alumni opened up a two-goal lead with just under seven minutes left, it looked like the current squad had finally run out of steam. As it turns out, things were just getting interesting. With five minutes remaining in the contest, sophomore midfielder Alex Hare scored on an unassisted drive to close the gap to a single goal, and senior attackman Colin Mason tied the game at 9 goals apiece a few minutes later. Both teams had their opportunities to break the tie in the final minutes, but as the clock ticked down overtime looked all but inevitable. With just seconds to go, the Alumni managed one last charge at the goal but failed to clear the ball cleanly. The Mustangs picked up the loose ball and rushed upfield. The Alumni defensemen were lost in the confusion of the broken clear, and goalie Ryan Parr was forced to make the final stand alone. Mason pinged the potential game winner off the pipe, but fellow attackman Andrew Haviland scooped up the ricochet and dumped it over Parr’s shoulder for the 10-9 victory. 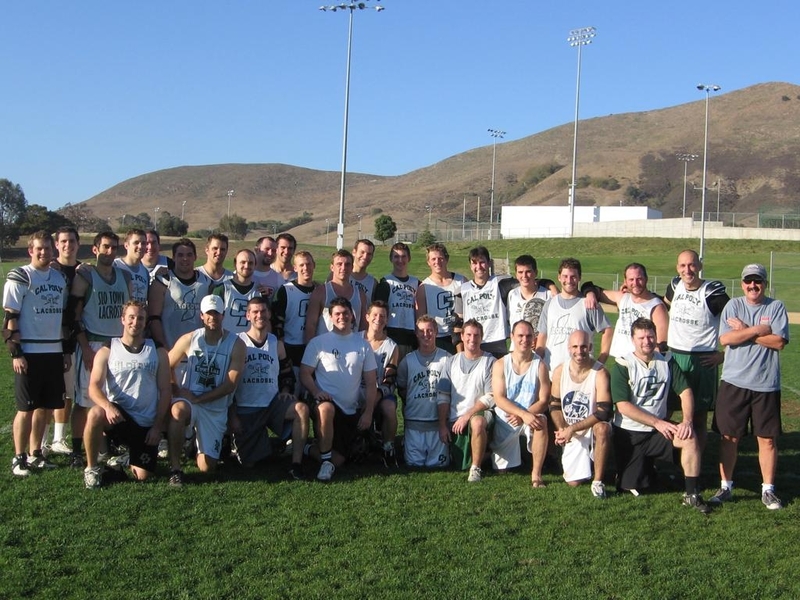 Cal Poly Lacrosse would like to thank all of our alumni for joining us in San Luis Obispo this year for one of the best Alumni games in recent memory. In addition to all of the action on the field, the weekend was a successful fundraiser and we appreciate the generosity of all of our former Mustang players.